The incursion of Ebola into Sierra Leone has yet again, exposed the apathy of this APC Government in tackling issues of national crisis. 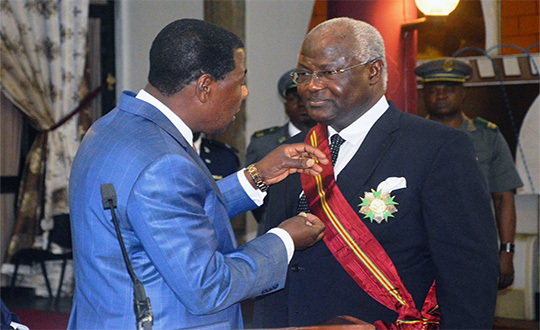 (Photo: President Koroma receiving honour in Benin last week). Whilst Ebola was taking lives in neighbouring Guinea, our Government was failing to prepare for the eventual outbreak in Sierra Leone. As far as I know, there were no proactive measures put in place to ensure that our people are educated enough to face the challenges of this deadly disease. And when it finally hit our shores, those in authority were still musing about what is truth and what is fiction. 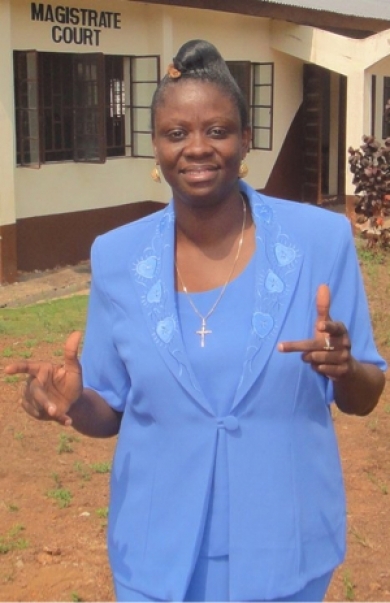 As much as I do not care about the politics of Ms. Sylvia Blyden (Photo), she was from the onset one of the people who tried to raise awareness of the disease in her paper. She has been critical at times about the handling of the outbreak, but has displayed genuine concern for the plight of the people in the Kailahun area, where the first suspected case was confirmed. However, instead of heeding to her warnings, the poor woman has been righteously vilified by the President’s inner circle. Her criticism of the handling of this epidemic by the Health Minister, saw all types of invective missiles being lobbed at her by those who are supposed to be in the forefront of the fight to defeat this menace. The Health Minister is another story entirely. If you missed her YouTube debut, when she was summoned in front of Parliament, then you need to check it out to see her performance and utterly ridiculous utterances. It appears to me that she has not, even up to this moment grasp the enormous task ahead, if we are to rid our country of this killer. I pray every day for my mother, siblings, neighbours and other folks, whose lives are threatened by this killer. It is not enough to say it has not yet arrived in Freetown. It all seems like yester years, when this same attitude was displayed in response to the RUF, whilst they were busy ravaging the provinces. 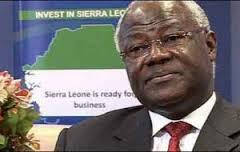 It will prove disastrous if EBOLA is allowed to rear its ugly head in a densely populated city such as Freetown. Lest I spare the leadership of our President, let me say here that it is not lost on some of us, the time it took for his Excellency to face the nation. His silence was conspicuous enough, which to me has lent credence to allegations that he does not care much about some of his people. Not to politicize this issue, would the President have visited the epicentre of the disease to show solidarity with his people, had this happened in his northern heartland? Our Government should acknowledge that we have a crisis in the making and must act with some sense of urgency. Parliamentarians should help spread the word in their various constituencies and get their people to understand that this disease is not a myth. It does kill, and will do so indiscriminately, irrespective of one’s party colour or tribal affiliation.